On February 7, 1935, the Chinese-Swedish expedition lead by Swedish geographer, topographer, explorer, photographer, travel writer, and illustrator Sven Hedin after crossing Mongolia and the Gobi Dessert reaches Xi’an on the Southern route of the Silk Road. Hedin was the son of Stockholm city architect Abraham Ludvig Hedin (1826-1917) and his wife Anna Berlin. To one of Hedin’s early influences belonged the return of the Swedish polar explorers Adolf Nordenskiöld, who was the first to complete the crossing of the Northeast Passage, came back as a national hero, and became young Hedin’s role model. After graduating from school, Hedin managed to travel to Baku as a private teacher. His studies with the German geographer and China researcher Ferdinand Freiherr von Richthofen awakened his love for Germany and encouraged him in his decision to undertake expeditions to Central Asia in order to eradicate the last white spots from the map of Asia. Back in Sweden, Hedin studied in Stockholm and Uppsala geology, zoology and Latin. But, Hedin longed for another journey towards Persia and in 1890, he accompanied Swedish politicians as an interpreter to Persia. They visited Teheran where he continued the journey together with Shah Nāser ad-Dīn Schah to the Alborz mountain range. During the journey, Hedin collected lots of material for his dissertation and after returning to Stockholm, he published several scientific works and books containing his experiences. However, Hedin could not imagine to study much longer, knowing that there was still much to discover and he decided to become full time explorer, starting his first expedition in 1893. After his doctorate, he did not follow Ferdinand von Richthofen’s advice to continue his studies in geography and to familiarize himself with the methods of geographical research; he therefore had to leave the evaluation of his expedition results to other scientists. He explored Pamir Mountains, visited Xinjiang and numerous previously unknown places, which he drew on more than 500 pieces of paper. On his return to Stockholm in 1909 he was received as triumphantly as Adolf Erik Nordenskiöld once was. Already in 1902 he had been elevated to the nobility as the last Swede until today who was not a member of the royal house. 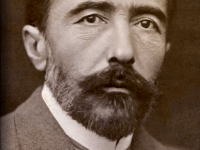 During the First World War he explicitly supported the German monarchy and its warfare in his publications. 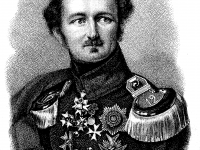 Through this political engagement he lost his scientific reputation with the war opponents of Germany, his membership in their geographical societies and scholarly associations as well as all support for his planned expeditions. With the financial support of the governments of Sweden and Germany, he led the international and interdisciplinary Chinese-Swedish expedition from 1927 to 1935, in which 37 scientists from six countries took part in scientific research into Mongolia and Chinese-Turkestan. Despite the Chinese counter-demonstrations, Hedin, after months of negotiations in China, managed to turn the expedition into a Chinese expedition through Chinese research contracts and the participation of Chinese scientists, and to negotiate a contract that granted this expedition, which looked like an invasion army in the war zone with its armament and 300 camels, freedom to travel; the financing, however, remained Hedin’s private task. Hedin set off on his last great adventure in 1927 with sixty men, 300 camels and forty tons of luggage. 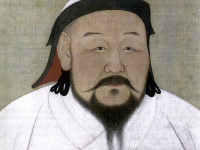 During the journey though Mongolia, the Gobi desert, and Xinjiang, the meteorological, topographical and historical findings were researched. Hedin often talked of a traveling university when speaking of the expedition. Along with Hedin, the expedition’s leader, numerous astronomers, archeologists, botanists, zoologists and many more from several European countries followed his way. In 1933, Hedin led the expedition towards the famous Silk Road. Chinese politicians asked the explorer to find ways for improving the watering situation as well as to make plans for building streets along the route. On his way back, Hedin chose to travel the south route of the Silk Road to Xi’an, where they arrived in February, 1935. 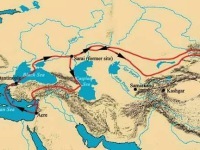 Along the Silk Road, Hedin managed to create several maps, he explored numerous lost ruins, and found important manuskripts, which were later exhibited in European museums. The crossing of the huge desert Gobi and the “death desert” Taklamakan demanded everything from man and animal. But after eight long years Hedin was the victor over the desert and fulfilled his life’s dream – he solved the mystery of the wandering lake Lop Nor. Hedin was the first to publish on yardangs in the Lop Nur, which fascinated him for all his life. The archaeological finds sent to Sweden could be scientifically evaluated there for three years and were then returned to China in accordance with the contract. The scientific material collected during the expedition was published by Hedin and the other expedition members in 1937 in more than 50 volumes for worldwide East Asian research. After his third expedition, Sven Hedin brought back lots of geological material, which he gave to the University of Munich. Sven Hedin was awarded numerous honors from universities across Europe. As a member of two scientific academies he had voting rights in the election of Nobel laureates. In 1909 he was elected a member of the Leopoldina, whose Cothenius Medal he received in 1925. A few weeks before his death Hedin bequeathed the rights to his books and his estate to the Royal Swedish Academy of Sciences. Sven Hedin passed away in November 1952. If you want to learn more about the famous Silk Road, you may be interested in the talk titled ‘Great Sites on the Silk Road‘ by Dr. Nancy S. Steinhardt. “Hedin, Sven Anders” . Encyclopedia Americana. 1920.